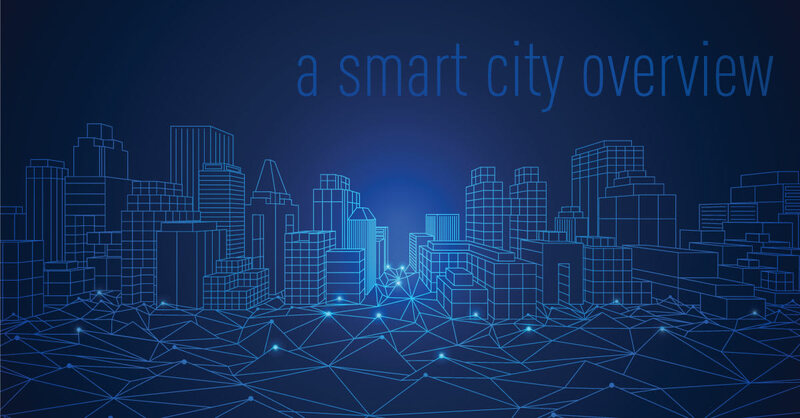 In our previous post on the smart city, and as explained in Marc Cram’s latest whitepaper, ‘Smart Cities Run on Smart Power,’ we identify the contributing factors in the development of smart city technology. It is the advent of the microprocessors and microchips that collect the massive quantity of intelligence that enables the city. In this blog we will shift our attention to another contributor: energy efficiency measures in the field, at the data center, and within racks that are supported by data center environmental monitoring and intelligent PDU(s). A cooperative effort between city governments and private enterprise is leading cities to adopt the goal of becoming ‘smart cities.’ Marc Cram’s new whitepaper ’Smart Cities Run on Smart Power,’ connects these initiatives to the data centers that support them, and ultimately to the 3 phase PDU(s) and single phase PDU(s) that power them. The promise of the smart city is to provide real-time monitoring and control of the IT systems that govern the municipal infrastructure. The result yields many benefits, including lower energy use, reduced pollution, improved public safety, and increased quality of life for the citizens and visitors of the smart city. 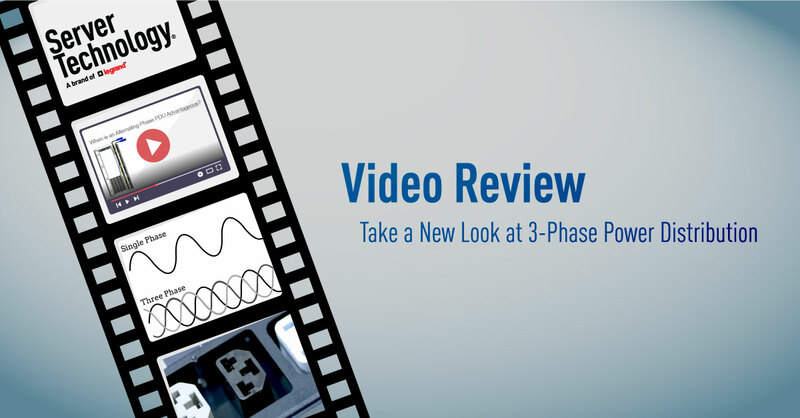 Warning: this blog contains spoilers for the newly released ‘Take a New Look at 3-Phase Power Distribution’ video from Server Technology. Readers are encouraged to watch the video here first before reading the review. In Server Technology’s new video, “Take a New Look at 3-Phase Power Distribution,” the newly organized Server Tech Theater tackles the subject of 3-phase PDU power distribution to the rack and, more specifically, where and when you should and should not reach for an alternating phase rack mount PDU. In our last blog supporting the new “Flexibility and Sustainability for the Dynamic Data Center” white paper by ServerTech’s own Marc Cram, we discussed the relationship between Moore’s Law and the resulting increased availability of data and its immediate consumption. In the first blog in this series, we talked about PUE and its contribution to the sustainable data center. For this last blog, we will shift our attention to the mission-critical facility itself and discuss flexible features that support sustainable design. In our last blog, we addressed the role of PUE and its relationship to flexible, sustainable data centers. If you missed it, you can follow this link here to get caught up on the series. Today, we are going to turn our attention to some of the new challenges facing data center operators, specifically around the seemingly continuous propagation of technology and data. In support of the new Marc Cram white paper, “Flexibility and Sustainability for the Dynamic Data Center,” we are going to be rolling out a three-part blog series that supports some of the key data center themes covered in the document. The paper itself, a copy of which can be found here, is a mission-critical state of the union address that calls attention to the challenges facing today’s dynamic data center operators.